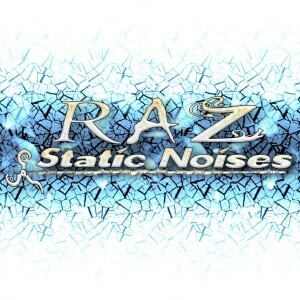 RAZ (Raz Kfir) is proud to present Static Noises, a set of four new tracks released on Side Wave Records, Portugal. Hailing from Israel, RAZ is an established psytrance producer widely known for his powerful full-on style that incorporates strong melodic hooks, vivid emotional atmospheres, and energetic beats. Guitars by Nati Ring. Mastering by Raz Kfir @ RAZPOWER Studio, Israel. MP3 Download | FLAC Download | WAV Download · Download count: 9,757. Kfir is one of the best full-on producers out there. That is one achievement in itself, as good full-on is pretty rare these days. Quite awesome. I have listened to this one over and over. I like this well done !! I woke up to this tracks this morning, im ready to whatever…Full of good energy. Very nice! A powerful blend of dark with uplifting leads. Man, when that bassline drops in on “No One Knows I’m Ninjai” at around 3:45… it just rolls and rolls and rolls… Epic!!! The title track, Static Noises, is going to do massive damage on the dance floor. Love your distorted acid lines… keep up the great work mate.